Do Mormons Believe in Universal Salvation? In a recent discussion someone brought up the fact that my views as a member of the Church of Jesus Christ of Latter-day Saints, or Mormon Church, seemed to be in line with those who hold universal views of salvation. Since I’m not all that familiar with Universalism, I decided to do a little research on what they believe and compare it to the LDS view of salvation. I really do not know a whole lot about Universalism other than the websites I visited. From what I gathered in my quick research though was that every human born on earth is going to be saved because God loves us all and wants the best for us. The church recognizes God loves all and salvation will come to all and therefore, they accept all beliefs and welcome any belief system into their “fold”. Therefore, people in a congregation may be athiest, agnostic, or Christian and no matter what they believe in, they are encouraged to seek truth. Many LDS views of salvation can be found in the Doctrine and Covenants in chapter 76. This chapter includes a vision given to early LDS church leaders, Joseph Smith and Sidney Rigdon. For those who want an in-depth study of the beliefs it is highly recommended to study that chapter. However, I will try and summarize what beliefs on salvation are. First, it is necessary to state LDS believe in a pre-existant life. In this life people lived as spirits. There was a war before the world was created between Satan and God. Some spirits chose to follow Satan and others chose God. Those that chose Satan’s plan will be eternally in what is called Outer Darkness. This is a place where the Lord’s Spirit can not dwell. No one born into this world will be sent to Outer Darkness. According to the vision, the people who go to the Telestial Kingdom are those who do not accept the gospel of Jesus Christ. Those sent to this kingdom receive some blessings for the good they have done, but do not receive the blessings of being able to dwell with Heavenly Father or Jesus Christ in the eternities. People who go to the Terrestrial Kingdom are those who accept Jesus in this lifetime, or did not accept the gospel of Jesus in this lifetime, but did afterwards. It is important to note that the LDS believe that all people will receive a chance to accept the gospel of Jesus either in this life or the next life. This scripture stems from the verses in the Bible where Jesus visited “those that were in spirit prison from the days of Noah” after he died on the cross. (see 1 Pet. 3:19 and 1 Pet 4:6). The Celestial Kingdom is the kingdom that “excels all things”. This is the kingdom where God the Father and Jesus Christ dwell. According to the scripture, those who enter this kingdomThe people who enter this kingdom are those who have been baptized into the church as well as remain faithful throughout their lives. The scripture says those in this kingdom will receive all the Father has including being equal in power. While there are some elements similar between Universalism and Mormonism, it is a far stretch to say they are the same. For example, LDS belief is that not all people are going to Outer Darkness with Satan because they already proved faithful in the pre-existance. Also, LDS believe that all people will have the chance to hear of Jesus and be saved at least in the Terrestrial Kingdom. This does not reflect Universal Salvation at all because this belief is that all people have or will have a choice to accept Jesus as their Savior and be saved. Universal Salvation is that all people are saved regardless of choices they make. Perhaps the strongest argument for universal salvation runs along these lines: If you give an omnipotent or all powerful God an infinite amount of time to save his creations, why would he not succeed? I think the best way to approach this issue is to begin with the traditional Christian understanding that there are only two eternal destinations: heaven or hell. Joseph Smith’s thinking on salvation is arguably more nuanced than this, partly because of his views on proxy baptism on behalf of the dead, but also due to his views on the salvific nature of knowledge. I believe the better approach is to understand Joseph’s view of salvation as entailing a broader and more merciful understanding of God. Under Joseph’s model, even those individuals deserving of an eternity of hell in the traditional Christian conception of hell, may still be saved in a kingdom of glory, although not without suffering the wrath of God (D&C 76:106). Those who were unable to obtain baptism in this life, but would have accepted Christ, may have an opportunity to receive baptism by proxy. The phrase “outer darkness” is sometimes popularly, although inaccurately, used to mean some sort of eternal existence after the resurrection, but this is actually not how the scriptures use the term. In both the Book of Mormon, “outer darkness” refers to the temporary state of the wicked, where there is “weeping, and wailing, and gnashing of teeth”as they anticipate final judgment and then the resurrection (Alma 40:13-14). In addition, while some Mormons have considered anything other than the Celestial Kingdom to be a genre of hell, this too is not a desirable understanding as it requires one to ignore the fact that all the three kingdoms are spoken of in Joseph’s revelations as “kingdoms of glory.” Therefore, to speak of the Telestial Kingdom as a degree of hell would be inaccurate, and would be a distortion of Joseph’s understanding of salvation. What aquinas said. And I would add that ultimately every knee shall bow and every tongue confess that Jesus is the Christ. Stephen B-kneeling and confessing has nothing to do with salvation and everything to do with recognizing ultimate authority-not unlike when an enemy surrenders. That passage is not a good support for the doctrine of univeralism. I do not consider LDS universalist-but they move far closer to that view than almost any non-universalist church does. Is it true that Latter-day Saints equate the two lower levels of glory as hell? From what I’ve read even some Mormons are going to end up in the middle kingdom (along with us evangelicals!) I always thought you believed that hell was a place for Satan and a few of the really wicked. I had thought that those who had come to know the Lord on this earth but later backslid to the point of going back to serving Satan were cast into Outer Darkness. Maybe I was wrong. As for my take of the LDS on salvation in general, I think it’s a mixture of truth & untruth. For example, I don’t think it’s biblical to say that those who do not accept the gospel will have blessings for their “good” works. It’s impossible to please God without faith (Heb. 11:6). And I don’t think those who have been baptized into the LDS will have any advantage over those who haven’t. On the other hand, I agree with AMA that it’s a far stretch to say Mormons are universalists. 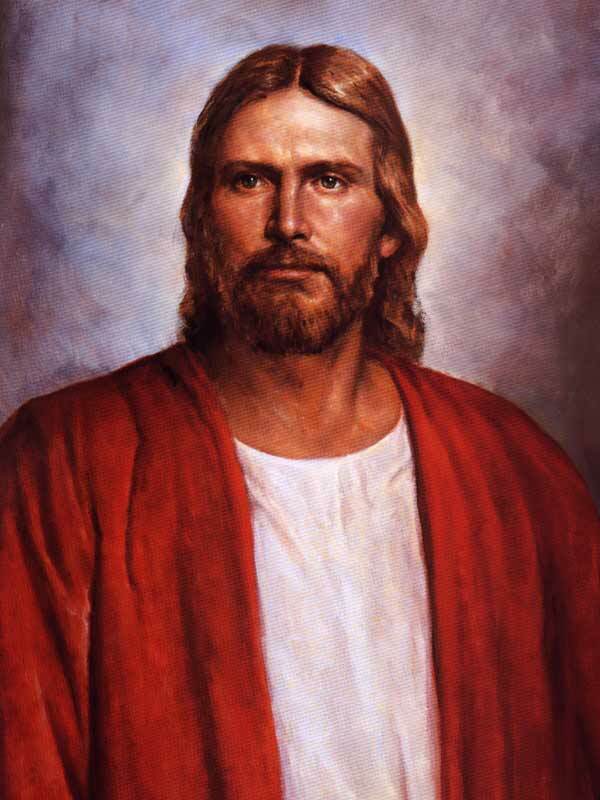 We can see from AMA’s model that the LDS encourages faith in Jesus—the one who suffered and died to pay a ransom to free us from the power of sin and its consequences. In LDS doctrine I believe that there is a distinction between salvation and eternal life. Eternal life is apart of salvation, but salvation is much more inclusive. Every knee will bow and confess that indeed Jesus Christ is the Son of God. But just because a person confesses this fact, it does not mean that he necessarily wants or is willing to be like him. We learn that as in Adam all die so in Christ shall all be made alive. All men are saved from the fall and death of the physical body to live again. We will all receive a resurrected body just as Jesus has. We will then be judged and rewarded according to our works just as the Bible says. But is that “reward according to our works” salvation? No. Because we also learn from the Bible that salvation is not based on our works. So is this a contradiction in the scriptures? Again the answer is no. We are saved from the fall through the death and resurrection of Jesus Christ which is a gift given because of the grace and love he has for us. And the reward we receive is the kingdom and mansion which has been prepared for us by him, in which we will dwell. God the Father and his son Jesus Christ partake of and enjoy the fullness of Glory which is eternal life. This is more than just salvation, this is exaltation or eternal life. Those who truly love the Lord with all their heart, might, mind and strength can partake of that same fullness. Those who do not will enjoy an eternal state of salvation much more fitting to their person and their level of faith and commitment, (it is clear from scripture that ones level of faith can be measured from great to small) therefore the various degrees of glory in the resurrection. As Jesus explains, their state will be more like that of the Angles. Those who will have no joy at all are those who in open rebellion turned against God from the beginning as well as those who have turned in open rebellion against him in this life ( the point that Cal made). Thou they receive a resurrected body, it is resurrected in damnation. And with that body they will have the power to rule over Satan but will know no joy or happiness, but will be most miserable just as Satan is. This view of salvation could be argued to be the same as is taught in universalism if it were not for the distinction that there is a promise of something more for those who truly seek after those things. Interpreting salvation in LDS doctrine can be somewhat problematic. The Book of Mormon on one hand teaches that salvation which is equated to eternal life, can only be gained by strict obedience tot he gospel. The Book of Mormon also teaches that there is only one heaven- the “kingdom of heaven” where all the saved go. In this understanding (Book of Mormon alone) there is only one heaven and one hell just as it is in mainstream Christianity. Under this understanding, it is not universlaism. Next, we have the D&C and the myriad of interpretations of section 76 concerning the kingdom of heaven. Like explained in the OP, under this understanding heaven is expanded in one sense to include those who “never” show obedience to the gospel but are somehow saved anyway. In this understanding it is universalism. Of particular note heowever is that salvation itself has strict requirements. These are explained at least partially in the Articles of faith. There we read that salvation comes only by strict obedience to the principles, laws and ordinances of the gospel. This is not universalism. Now, as to God’s work and glory to bring to pass the immortality and eternal life of man, I personally think that eventually he is 100% successful at this task. In this sense it is universalism because everyone gets there in the end. In how LDS saints look at the matter, I believe we are “exclusionary” and are guilty of that misconception just as most other Christian religions. We falsely belive, like other churches, that we are somehow better and will be exalted obove others, but that they will still be happy, just not exalted or “saved” like us. We somehow fall into the trap of believeing that we “earned” our exaltaion in the pre-existance, which of course isn’t correct. This ties in with Paul’s proclamation to the Colossians (2:12f) that with Jesus’ death comes the redemption of all mankind; with his death on the cross, Christ, by his death subdues the invaders and recaptures those whom they had subdued. His death and resurrection and his ascension on high is reason that Christ fulfilled the words of David, who prophesied, ” “When he ascended on high, he led captives in his train and gave gifts to men” (Ephesians 4:8). As mentioned, God is gracious and grants us salvation in a very simple way: by faith in what he has done for us through his Son, Jesus Christ. To him be the glory, now and forever. Amen. So it would seem then, to try and compare Mormon beliefs with universalism it is necessary to first define what salvation means, and is it defined the same for both. Then compare what is required to obtain that salvation. Salvation in universalism comes to everyone regardless of what they believe. I’m not the expert, but as I was reading on this it appeared that as long as people were trying and progressing, they’re saved. The key difference is that although LDS theory is that all will receive a glory, not all will not receive salvation in the sense of being able to dwell with Jesus or Heavenly Father. Most LDS do NOT consider the lower two kingdoms to be degrees of hell. The person that posted this blog is out of the mainstream thinking of LDS people. For one thing, the Encylopedia of Mormonism (the closest thing we have to a REAL Mormon Doctrine) does not describe the telestial kingdom as hell. Thanks for stopping by and for the clarification. In my way of thinking, since in the other kingdoms they aren’t able to dwell with Jesus or Heavenly Father, wouldn’t you consider that Hell? “In latter-day revelation hell is spoken of in at least two senses. One is the temporary abode in the spirit world of those who were disobedient in this mortal life. It is between death and the resurrection, and persons who receive the telestial glory will abide there until the last resurrection (D&C 76: 84-85, 106), at which time they will go to the telestial glory. In this sense the Book of Mormon speaks of spiritual death as hell (2 Ne. 9: 10-12). Hell, as thus defined, will have an end, when all the captive spirits have paid the price of their sins and enter into a degree of glory after their resurrection. Statements about an everlasting hell (Hel. 6: 28; Moro. 8: 13) must be interpreted in their proper context in the light of D&C 19: 4-12, which defines eternal and endless punishment. No, I wouldn’t consider the two lower kingdoms hell. To me, hell is eternal torture. Modern-day revelation makes it clear that those degrees of glory do not constitute eternal torture. Quite the contrary, since we all know the line attributed to Joseph Smith that if we could see the telestial kingdom, we’d commit suicide to get there. The bible dictionary is in complete agreement with the Encyclopedia of Mormonism article, and I am in complete agreement with both. The dead who repent will be redeemed, through obedience to the ordinances of the house of God, And after they have paid the penalty of their transgressions, and are washed clean, shall receive a reward according to their works, for they are heirs of salvation. In my opinion, nearly everyone including every individual heir of both the telestial and terrestrial glory will eventually fall in that category. Outer darkness, hell, limbo, whatever will be reserved only for those who refuse to repent and live according to the standards of a degree of glory. cf D&C 88:24. I agree, if we define salvation as returning to live with God and Christ, then no, LDS doctrine does not teach universal salvation. But again, if we do not receive salvation defined as living with God and Christ, that does not conclude that we go to hell either, by LDS doctrine. In LDS doctrine, between salvation (Living with God ) and damnation (living with the Devil) there are many options for what our state will be for eternity. Once we start to consider eternal states that do not fit into one of the two above, we start to question just what that state truly is. Are we content with where we are and thus in a state of mind that is happiness? Or are we in a state of regret wishing always that we were somewhere else? I tend to believe that if as Joseph Smith said that even the lowest kingdom is far greater than anything we know in this life and we would be willing to die to get there, then I would think at the end of our judgment we will know we were dealt with justly and find joy and happiness with the mansion prepared for us and I see no reason to consider that a state of hell. If however, we have rebelled openly and fought against God and end up cast out of all light into a state of outer darkness, then yes that would be one hell of a state to be in. In regards to Mormon authors who interpret the lower kingdoms to be a genre of hell, I am referring to a book titled Mormon Beliefs and Doctrines Made Easier (Cedar Fort, 2007). Note the entry on damnation. For those interested, I wrote a critique of several entries in this book that I found largely inadequate. On the notion that a person would be tempted to commit suicide to get to the lowest of the kingdoms of glory, note that this is a controversial statement with a complex documentary history. To get a good overview of this issue I recommend this post. One of the difficulties in discussing and doing a comparison among notions of hell is that the notion of hell itself is more complex than modern day Bible translations allow. The Greek terms hades, gehenna and tartarus are all translated as hell in most Bible translation, including the King James Version. Hades, like its Hebrew counterpart Sheol, merely refers to the underworld, that place that, upon death, all go whether good or evil. Gehenna, on the other hand, is reserved exclusively for the damned (hell fire is Gehenna fire), traditionally conceived of happening after the day of judgment. It cannot be said that Mormonism teaches of a universal salvation. According to the divine council narrative, universal salvation was something advocated by Lucifer in opposition to preserving human free will, which opposition caused him to be cast out and become a fallen angel. Nothing in Mormonism teaches of a universal salvation as this would make human choice irrelevant. Joseph Smith’s revelations speak of those who do not receive “a kingdom of glory” (D&C 88:24) and those who God specifically does not save, even if they are few (D&C 76:32-48). Therefore, one might argue, comparatively speaking, that Mormonism’s notion of salvation broader or more universalistic than that traditionally conceived. Yet, since Mormonism places a high premium on human choice or free will, a kind of universalism that would eviscerate human choice would simply be incompatible with Mormon theology. I thought in LDS thinking the terrestrial was the lowest not the telestrial-am I wrong? The Bible does teach degrees of glory for the believer however I believe we will delight in whatever state we are in. I heard it described this way-our cup will be full. For some of us the cup will be the size of a 10 gallon pail and for others it will be the size of a thimble-but it will be full. The Latter-day Saints believe in three different degrees of glory. While not true universalist they tend to move in that directions. They do believe in a literal hell, but only for Satan and his demons and those who committed the unpardonable sin (whatever that is!). It is a bit more complicated that my evangelical convictions where you’re either in or you’re out. By the way-another great blog, Ama! Thanks! I may have got the quote wrong as to which kingdom Joseph Smith was refurring when he made that statement. But I do agree with you in that what ever state of glory we are in our cup will be full, and it will be a perfect fit for us and we would not be longing to be somewhere else. So then the question becomes, what must we do to receive at least some degree of glory, i.e. the smallest possible thimble full of glory? If someone eventually bows the knee and confesses that Jesus is the Christ the son of God will they receive some level of glory? When I think of this statement I think of all the people in the world that follow a religion or a belief system that teaches them to do good as Christ would have them do, but does not acknowledge Christ as the source of all that is good. Once they know this and accept or realize that fact what will be their fate? An informative discussion. . . .
Is it true that the highest place a non-Mormon could possibly end up is the middle kingdom (terrestrial)? What’s it like there? If I remember correctly—tell me if I’m wrong—the unpardonable sin is coming to know the Lord personally, and then backsliding way back to the point of serving the devil again. And are these backsliders called “sons of perdition”? They are the only humans who will go to the permanent hell (Outer Darkness), right? One thing I know for sure: They are the ones who will forever sing Paul Simon’s song, “Slip-Sliding Away”—just kidding. The concept of only Mormons making to the highest kingdom is not consistant with the teachings of the church. There are many people who in this life will never even hear of the Mormon Church, and to then say that there is no chance for them to make it to the top, there is no way that this idea could be correct. Many people for the first time ever will not only hear of the fulness of the gospel of Christ after they leave this life, but many of these will also hear of Christ himself for the very first time after they are dead. Christ went to the spirit world not only to teach the disobedient, but also those who never knew of him. The LDS church teaches that this teaching is still going on. Just as here on earth Christ step up a church for the gospel’s to continue being taught after he was gone, he set up for the teaching of his message to go on in the spirit world. These people will have just the same chance to accept Christ’s message just as do we, and if they accept it there then there is no reason they should be denied every chance to recieve every blessing any of Heavenly Fathers other children receive. Thanks, Ken. Have a great Sunday. Oh, I forgot to ask—how did your talk go, Ken? I give my talk next week. Still working on it. I will let you know how it goes. thank you for asking. Enjoy your Sunday too & take care. Revelation 20:11-14 talks about the Book of Life containing the names of those who have put their trust in Christ to save them and their judgment and the destination of those whose names are not found in the book. Do the LDS have any biblical references for unbelievers being given a second chance to accept Christ on the other side of the veil? It’s a comforting concept but not one I see in Scripture. What comforts me in all this is knowing that our Father is a good and faithful judge. These are great questions. I feel another post coming as a result of your question so stay tuned! I don’t have my Bible with me so I can’t give you the chapter and vs. but Peter talks about how “Christ once suffered for sins, just for the unjust, that he might bring us to God, put to death in the flesh, but quickened by the spirit, by which also he went and preached unto the spirits in prison, which once were disobedient when once the long suffering of God waited in the days of Noah”. Peter also said. “For this cause was the Gospel preached to those that are dead. That they might be judged according to men in the flesh, but live according to God in the spirit.” So What exactly does Peter mean by these statements? Why would Christ go and preach to those who didn’t listen to Noah? Are these the only spirits in prison that he preached to? The Hebrew word Sheol and the Greek word Hades are used in the Bible generally to mean a place where the Dead go, both Good and Bad. It would seem that it is clear that this is the place that Christ went. Because Christ was the first to be resurrected, and all those that were resurrected after him would have come from this place, so it would seem that Christ would have gone there for that purpose. But Peter tells us that he also preached to the disobedient, Why? Was this to give them a second chance? When Peter said the gospel was preached to the dead, we must assume he was not speaking of just the “spiritually dead” because they are referred to those “not in the flesh”, and that they would live according to God in the spirit. Was Peter referring to the same persons as when he spoke of the disobedient at the time of Noah? Christ’s mission on earth was to establish his church and followers that were commissioned to go into all of the world and preach his message to everyone. The message is that he is the only way back to God. From the day that he gave that commission to this day the gospel has been spread throughout much of the world, but still nearly 2000 years later we are still working toward that goal, getting ever closer, but still not completely there. Many of Gods children have lived during this 2000 year period who did not receive the message that Christ is the way back to God. Many of them have been wonderful people filled with the spirit of Christ, but still left this world without the knowledge that Christ was and is their personal savior. Can they be saved in ignorance of this fact? Or must they at some point hear and accept this fact in order to receive salvation? Were their names written the book of life or their names engraven on his palm? I don’t believe that just because we have not completed the commission we are given that someone’s name is not recorded. Christ knows his sheep and he will send his messengers to where ever they are to give them that message. I believe that if in this life we are given a chance to learn the truth about Christ and the revelations he has given to prepare us for what is to come, and we do not accept it, then we have lost the chance to have our “10 gallon bucket” filled to the top and enjoy all that it has to give. But if we accept and live according to that portion which we are open to then we will enjoy what it brings, even if it is no more than a thimble full. But I also believe that for each and everyone of us, once we leave this life we are still on a journey of growth and development as we work to become more like him who saved us and showed us the way and commanded us to be perfect even as our Father in Heaven is perfect. For some the knowledge of who Christ is comes while in this world, for others it comes after they have completed the work they were given to do in this life and go on to the next. In either case we will all go on to progress and become all we can be, be it 10 gallons or a thimble. I truly believe that Christ’s gospel message is being taught on both sides of the veil, and that this life along with Sheol or Hades, we are all given this as our chance to prepare to meet God through our mediator who is Christ. The Bible does offer us important instruction and insight to what we must do to return to live with him. But at no time in the past history of the formation of the Bible were the people ever safe just looking to the prophets and writing of old to know everything God had to tell them. God did not spend several thousand years revealing instruction to his followers to one day reach a point where he could say “I have given them enough, time for me to stop talking to Prophets and let them figure it out with what portions made it through all the revisions” Christ said that man must live by “every word” that proceeds from God. I do not believe that every word he spoke in times past made it through all the rewrites of his instruction, nor do I believe that he does not have more to teach his children. Every word of God would fill the universe, and he keeps pouring it out line upon line, we must have the faith to listen. Ama-I look forward to furthering exploring this issue in another post! Ken-you make some great points! Let me give your ideas and insights some thought and prayer before I respond. The vv. that Ken mentioned above are either 1 Peter 3:19-20 or 1 Peter 4:5-6. They are odd vv., very hard to understand. Evangelical scholars have various interpretations of them. In thinking about this issue of whether the gospel can be accepted in the spirit world, and whether someone’s eternal future can be changed as a result of a decision in the spirit world, three vv. have popped up. One is Hebrews 9:27 which says that man is appointed to die once, then the judgment. A 2nd v. is 2 Cor. 5:10, which says we will be judged on the basis of what we’ve done while in the body. A 3rd one is in Luke in the parable of the rich man and Lazarus. The rich man is in the fire and Lazarus is being comforted. Jesus tells the man in the fire that “a great chasm has been fixed, so that those who want to go from here to you cannot, nor can anyone cross over from there to us” (Lk. 16:26). I would think that a danger of believing that people will get a chance to accept the gospel after they die is that it might make one less concerned about spreading the gospel around the world. At this point I have to stop and swallow hard, though, because I don’t know that evangelicals are spreading the gospel with any more urgency than the LDS. You bring up a very good point that many Evangelicals (from my experience) aren’t willing to look at. That is the point that the Bible alone contradicts itself sometimes. For the LDS, some of these issues are answered in the Book of Mormon and Doctrine and Covenants such as whether baptism is essential for salvation, what happens to people who do not have a chance to hear of Jesus in this life, etc. However, some things in the Doctrine and Covenants (such as plural marriage) are very problematic and so the LDS are forced to do the same thing Evangelicals do with the Bible and that is to pick and choose which parts they want to believe. Personally, I feel that if something is the Word of God, the Holy Spirit will testify of its truthfulness regardless of the source. I didn’t notice your response above until now. My feeling is that the Bible doesn’t ever really contradict itself. It just seems to at times. I agree that the Book of Mormon can help. I also find modern versions of the Bible to be very helpful. How do you feel about the modern versions? Have you ever read any of them? I agree that we Christians tend to go shopping when we study the Word—pick out a v. here, a v. there. And I agree that the Holy Spirit is indispensable. Nothing that Peter said in any way changes or diminishes anything Cal pointed out in the above scriptures. We die only once and we will face a judgment day each and everyone of us. These are two things that are more sure than the sun will rise. Jesus Christ will be the judge that we stand before to give an accounting. But I do believe that before we go to that judgment we will know who is judging us and why he is qualified to be the judge of all mankind. There is no one who has ever lived in this life that can say to him, “You have no idea what I had to go through.” For he descended below all things and suffered all things. He knows better than anyone just exactly what we had to go through. And no one can say “ I didn’t know it was wrong to commit that act of sin” for each of us is given the light of Christ which is our conscience that lets us know that which we should do and not do. And no one can say “ I had no idea I had to accept you as my savior to live with the Father” And this is so because everyone will, on bended knee confess and acknowledge that Jesus Christ is indeed the son of God. In order for this to happen each and every person must have been taught the gospel. If a sparrow can fall and God knows, then God knows when a child of his falls and he will reach out to save him, but not against the will of the child. It is a fact that many people will die without knowing Christ or his gospel message in this life, but they must face the judgment seat just as everyone else must do. In death there is as Christ explained a large divide that separated those in Abraham’s bosom and those that will suffer. But Christ swallowed up death and hell as freed the captive and release the chains that held them bound. His death and atonement bridge that gap which allowed his gospel message to go to them as well. Not as a second chance, but to make perfect the plan of the father. For those who rejected the message in this life, the 10 gallon bucket is no longer an option, but what they can receive they will receive, should it be no more than a thimble. And for those who rejected the light of Christ that was in them in this life, again this is not a second change, but an acknowledgement and an acceptance of something less. But for those who did abide in the light of Christ in this life, yet knew not his name, he knew theirs for their name was ever before him. And once they heard his name for the first time in the spirit world they knew and accepted him and the full joy he had to offer. Does this mean we have no worries, that it will all be taken care of? By no means is this true. For the urgency of spreading the gospel message has as much to do with our own salvation as it does for those to who the gospel must go. For if we do not accept that commission from Christ to go into the world to share his message once we come to know it is true, then we must give an accounting of this at the judgment. As Joseph Smith said “it hath become every man who hath been warned to warn his neighbor” I think I got that quote right. Sorry it took a while to get back to you-your final statement regarding continuous revelation through the Prophets is one that is very interesting to me. I believe in personal revelation and I believe the Lord speaks through leaders however we must be clear that God never contradicts himself and that the word given in no way contradicts what has been said previously. For example google the United Church of Christ and take a look at their ‘God is still Speaking’ program and see how they are using this concept to promote the most godless teachings imaginable. Going back through 180 years of LDS history haven’t some of the Prophets said things that no longer reflect LDS thought (the whole Adam/God controversy and Polygamy)? Some years back evangelist Oral Roberts said some very odd things about his new hospital (The City of Faith) that did not come to pass even though he claimed to speak in the power of the Holy Spirit and in prophetic voice. How do we know when a Prophet is speaking in the power of the Spirit? Sounds like another blog for Ama! Regarding Jesus Christ setting the captives free-Revelation 1:18 says that Jesus hold the keys to death and Hades. He descended into the underworld to liberate the children of the Old Covenant and to keep those promises made to Abraham, Isaac and Jacob. I must confess, I am unclear what defines “saving faith.” I believe we are accountable for what we know. Let me share a story that I heard from Rev. Richard Wumbrand-a Romanian minister who was tortured for his faith in Christ under communism. While ministering in Odessa he met a woman and began sharing the gospel. At the mention of Jesus Christ, the woman’s face lit up and she said, “I love that name!” She then shared how as a little girl her grandmother had mentioned the name of Jesus Christ. The only thing this woman knew was a name-but she understood that it represented goodness and love and she had cherished that truth throughout her life. She was faithful to what she knew and I believe she would have been welcomed by God into the Kingdom if she had died. It was with great joy that Brother Wumbrand could share the rest of the story with this woman. In speaking about the atonement in Hebrews 9:28 the author says in verse 27, “Just as man is destined to die once, and after that to face judgment.” While I’m not seeing a second chance after the grave I do recognize that what constitutes saving faith can be a bit broader than we suppose. In the end we are in the hands of the perfect judge. That is something in which we can all agree! Jeremy-thanks for clarifying the LDS understanding of the degrees of glory. How’d your talk on Sunday go, Ken?